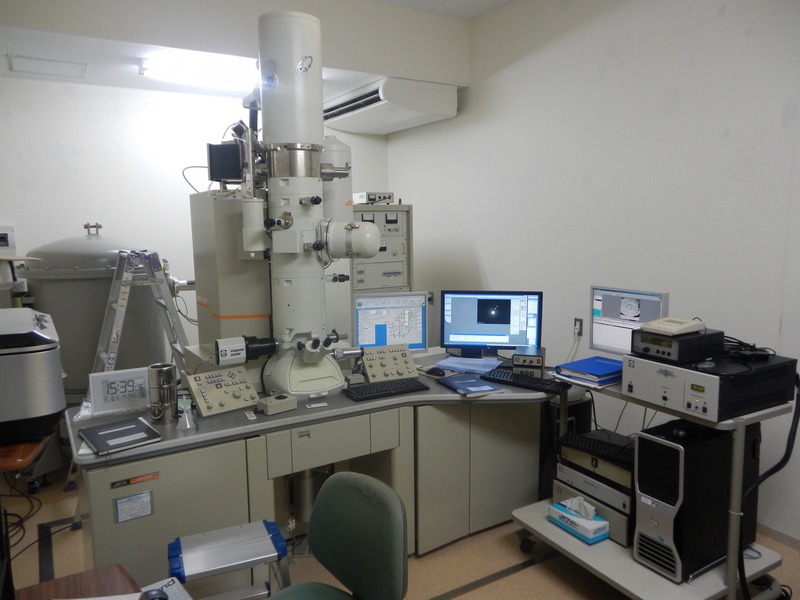 In this lab, two major facilities TEM (Transmission Electron Microscope) and FIB (Focused Ion Beam system) have been installed. 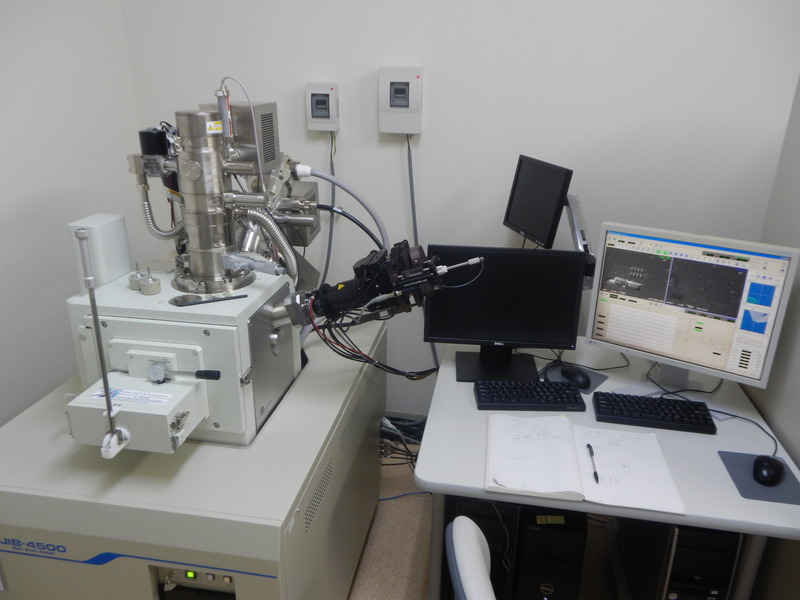 Our TEM is equipped the field emission type of electron source, and it is used for nano-scale observation and analysis with user-friendly interface and under high-stable beam condition. 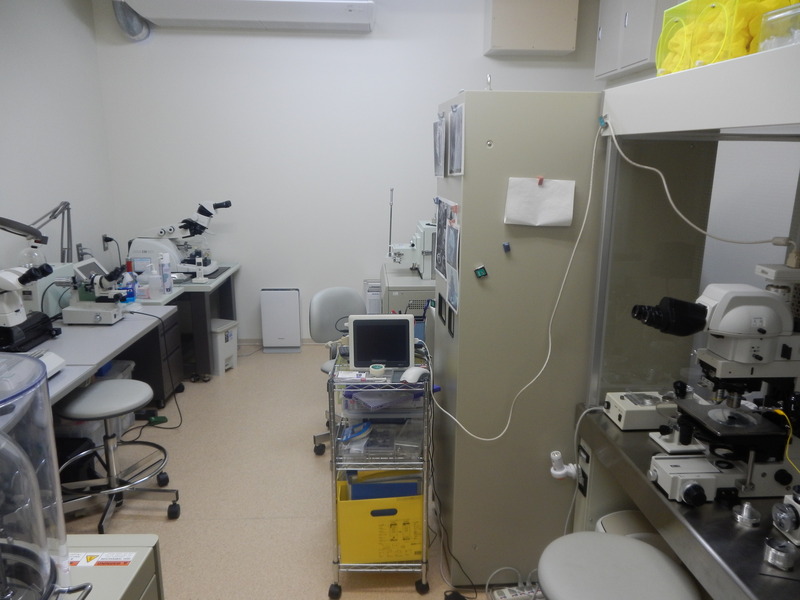 The microscope also equipped EDX detector and the post-column-type energy filter camera, using these sub systems, energy filtered HRTEM imaging, EELS analysis. The dual beam type of FIB is generally used to fabricate TEM sample from various type of samples, such as rock and bio-related materials. The Visual stage linkage is also established in the FIB system, therefore, we can operate FIB and fabricate the thin film based on the spatial information such as elemental mapping. Bebout et al. Nitrogen Concentrations and Isotopic Compositions of Seafloor-Altered Terrestrial Basaltic Glass: Implications for Astrobiology, Astrobiology, 18, 2017.